While Joclyn is trapped in the tormenting hell of Cail’s mind, the battle around her only continues to grow and spread. Edmund has infiltrated the underground hallways of Prague, guiding the massacre that would end the lives of the last of the great magical race. In her attempts to stop him, Wynifred has been captured and her magic restrained. Chained up in the ancient dungeons of Prague, her fate is left in the hands of her father, who has tried to kill her before. With Ryland’s screams and Sain’s fragmented sights as her only company, Wyn must rely on something that has been hidden deep inside of her for centuries to help them break free. Ilyan’s whole life has been building up to one purpose. Protect the Silnỳ. He knows what he must do, and he has no doubt in his ability to do so. But when his father’s magic removes Joclyn’s mind from her body, he is left protecting the shell of the one person he loves. Desperate to find a way to break her free of her prison, he makes a choice. And that one choice changes everything. Now, Ilyan finds himself bound to Joclyn in a way that he never knew to be possible. They say that blood is thicker than water, but Black Water burns, and Ilyan’s heart may not be strong enough to keep it pumping through his veins and give the girl he loves back into his brother’s care. Even if he can, it may not be safe to do so. When I heard the third book was almost a retelling from new point of views, I admit I was a little skeptical, but I had nothing to worry about! Rebecca Ethington totally surprised me with Scorched Treachery. It was like a whole new story and not one we already went through. It completely captured my every attention and I adored the new POVs! I absolutely loved getting inside of Wyn and Ilyan's heads. Wyn who has had a past locked away, one that is just heartbreaking. 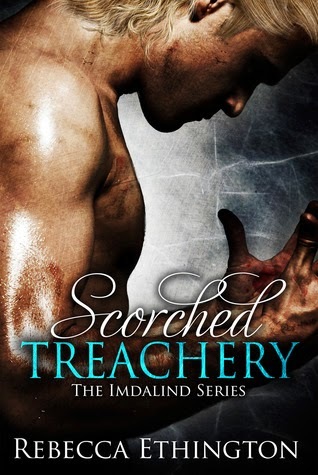 I felt so bad for Wyn in Scorched Treachery, yet loved her even more because of it. 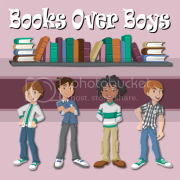 Then there is Ilyan, who has always kind of been second boy to me... But now I'm not so sure. My heart was so dead set on a Ryland and Joclyn happily ever after, but being inside of Ilyan's head for a book I'm not so sure. He truly does everything for her. He is patient and kind and completely loving. Overall really enjoyed this switch of POV and thought it really helped the story along. Cannot wait to jump into Soul of Flame though... I need to know what happens now because of how Scorched Treachery left off!